We work with high-quality products and we are proud to handle the whole production process ourselves. Our machinery is standby to provide our customer with the requested product. We dispose of some standard products as you can see below. But you may certainly contact us for any specific requirements. Our freshly minced onions are available in various sizes and packages. 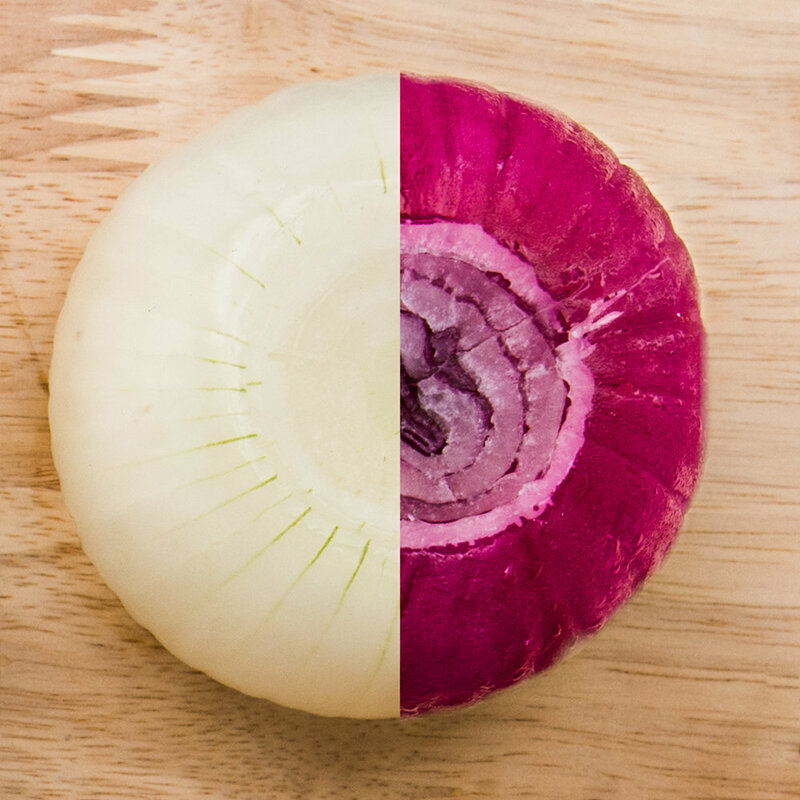 We chop the onion into chunks from 5 mm (smallest cut) to 20 mm. The packages range from 100 g to 10 kg. Feel free to ask for more info. Our fresh onionrings are available in various sizes and packages. We chop the onion into rings from 2 mm to 20 mm. The packages range from 2,5 kg to 10 kg (also available in bulk). Feel free to ask for more info. 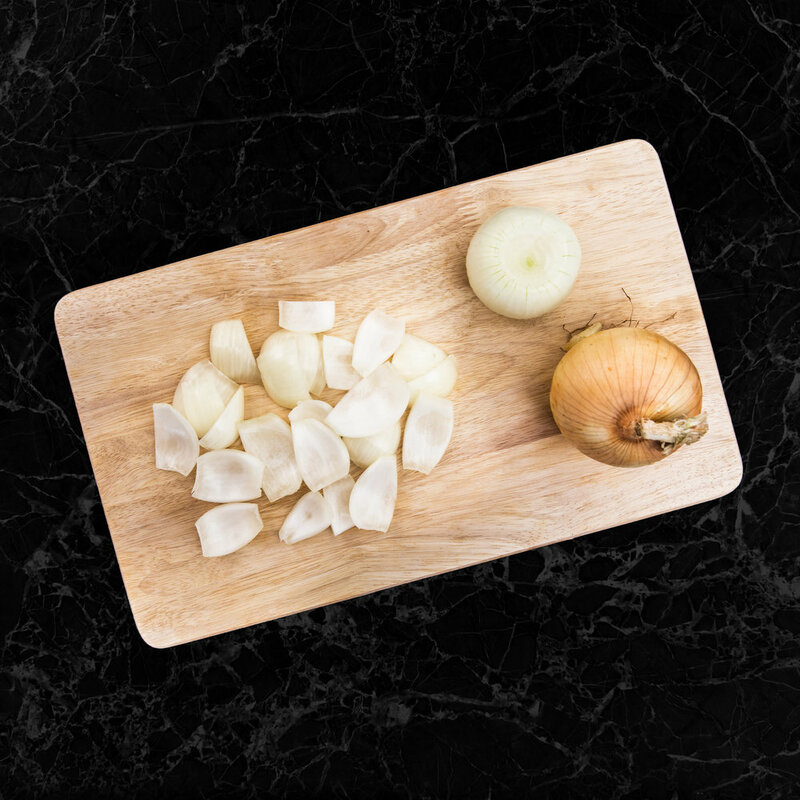 Our fresh onion chunks are a perfect example of our customer focus. We have adjusted our machines to this product at the customer's request. So feel free to ask us for the desired cut or packaging. We’ll see what's possible ! Unpeeled onions can also be supplied. This is possible in packages of 1 kg to 25 kg. Or do you prefer whole peeled ones? Can also be supplied in bulk or in packages of 2.5 kg to 10 kg.